I acquired a potted sago when we purchased our home here in Michigan. (COLD MICHIGAN!) It’s approximately three feet tall. The branches are all turning yellow starting at the tips. The pot is about 2 feet deep and wide. What could be wrong? Does it need a bigger pot? I would put it in a bigger pot with lots of drainage. Make sure it gets warm clime in a sunroom for the winter. Is there a limit as to how large the pups of a Sago Palm can be safely removed from the mother Cycad? I have a large plant with five feet of clean trunk, and the pup in question already blooms (female), and has a head that is a foot in diameter. I harvested two sago pups and got some roots without any cut/damage at all to the pup. Do I still need to remove the roots and leaves and let it dry out for a week, or can I just plant it? 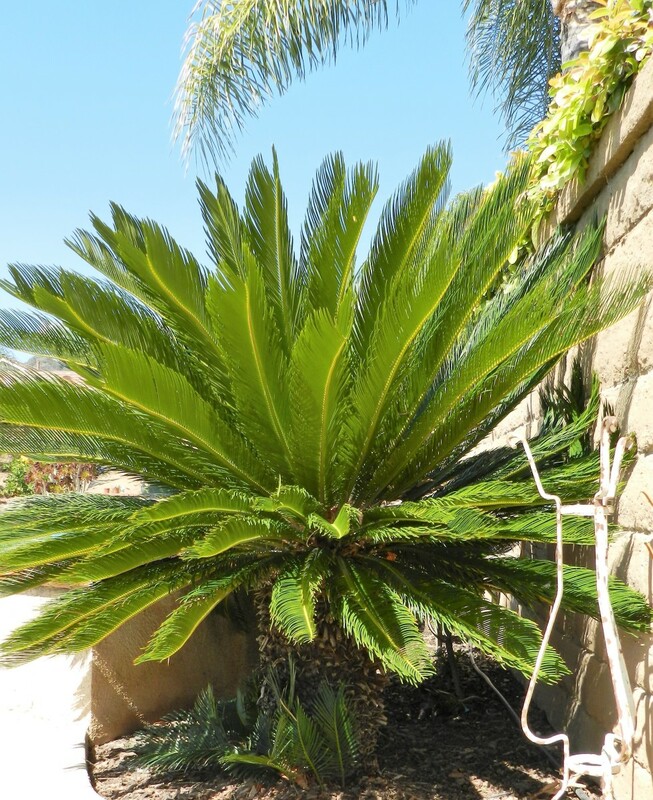 What causes the sago palm to flatten out, and what is my next step to keeping it healthy?